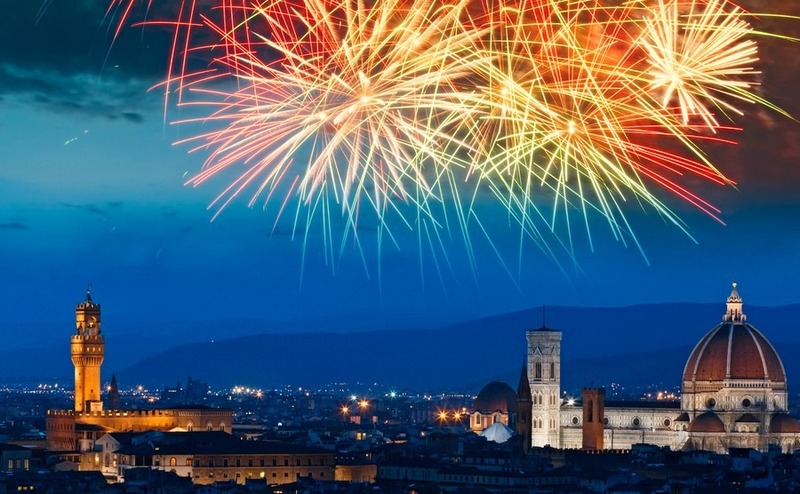 An Italian New Year’s Eve goes on until sunrise and is full of sparkle and loud bangs. 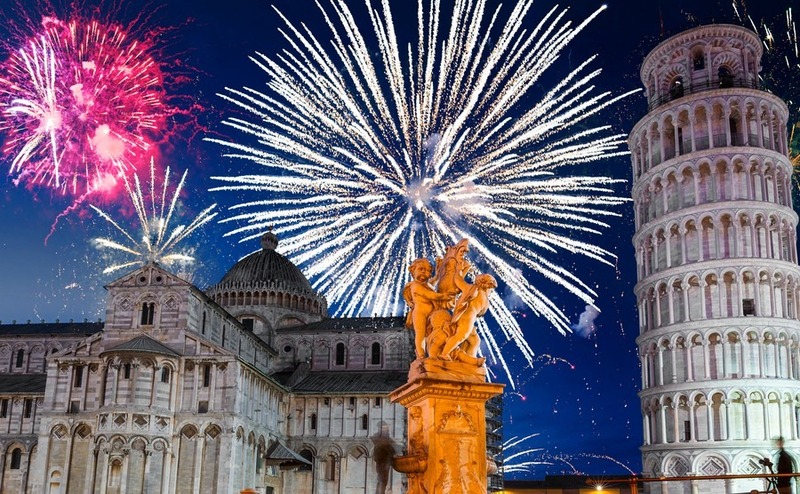 Italians love fireworks, and they light up the sky at every festive occasion from weddings to Saints Days. But, a satellite view of Italy on New Year’s Eve must be totally amazing, as every town simultaneously illuminates with glittering light. On the ground, even the drink is sparkling, as everyone raises a glass of Prosecco or Spumante as corks pop across Italy. Many even believe that the loud bangs will scare off demons and bad spirits from the New Year: “il Capodanno” in Italian. Most major towns have firework displays, but also many families set off rockets from the rooves of their own houses. From my countryside home, the nearby town looks like it has had an explosion of light at midnight. Large cities add to the noise and excitement with free concerts in piazzas and on waterfronts such as Rimini, with ships and boats sounding their horns. Dancing can go on until sun rise, and some people even brave a dip in the sea. Be careful standing under windows though: in some regions it is customary to throw old things out of the window with the old year, particularly china, or they clatter pots and pans at the door. In the Capital City of Rome, celebrations centre around Piazza del Popolo with huge crowds enjoying concerts, dancing and fireworks. After the adults have gone home, in the early hours of the morning, families can enjoy a New Year’s Day of children’s entertainment and visit the nativity scenes exhibited in the church of Maria del Popolo. Other places to enjoy music and fireworks around the city include Via dei Fori Imperiali near the Colosseum, Circus Maximus and a Classical music concert in the piazza in front of the Quirinale. As well as music and entertainment in Piazza Maggiore, traditionally an effigy of an old man is burnt on the bonfire, called “Rogo del Vecchione” (Burning of the Old One). This tradition symbolically burns the bad things that happened in the old year, before welcoming in the new. The character of the effigy is now different each year. This year they designed a 10 metre high figure. At Piazza San Marco in Venice it is traditional for couples to kiss on the stroke of midnight, with grand fireworks over the Bacino di San Marco. Many high-class restaurants offer huge feasts with many courses that last from 9pm until midnight. The famous New Year “Concerto di Capodanno” is performed at Teatro la Fenice. 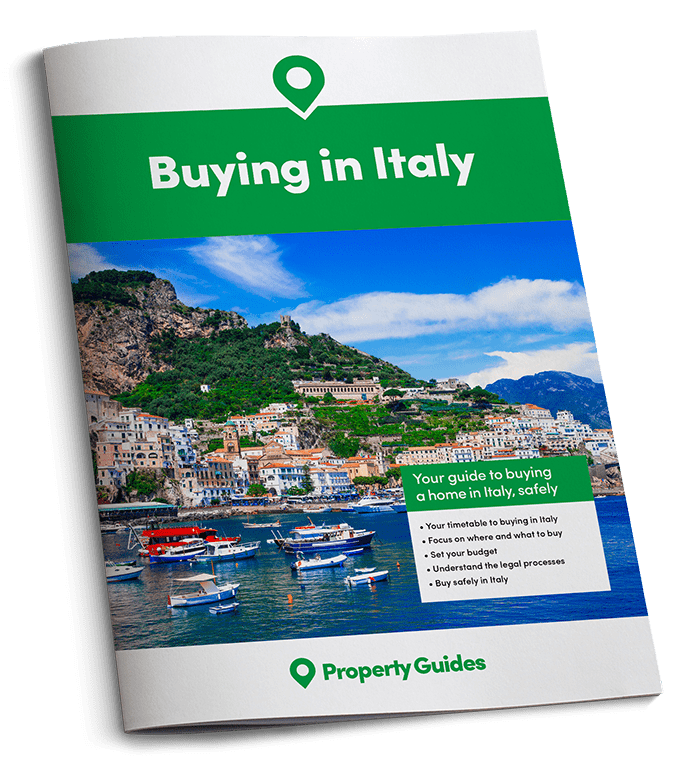 In Florence you can view a stunning fireworks display over the river Arno with concerts in Piazza della Signoria and Piazza della Repubblica, or enjoy a meal at one of the fine restaurants. Further along the Arno there are also fireworks in Pisa. You can also see large free concerts and fireworks in Naples, Potenza, Turin, Palermo, Milan, Genoa, Bari and Catania. To bring wealth and prosperity to diners, lentils are included in the New Year’s Eve feast. To bring abundance and richness of life in the coming year pork is served, either in the form of a spicy sausage or stuffed pig’s trotter. By then finishing the meal with grapes, you will also gain the ability to be frugal with your wealth. A traditional Italian game that can be played by the whole family after dinner is Tombola, which is very similar to Bingo. It is said to have originated in Naples in around 1734. When the church disapproved of gambling, citizens got around this by playing Tombola at home instead. Unlike Bingo it has the added fun of having symbols that correspond with each number, from religious symbols to ones that are rather naughty. Instead of marking the cards families use bits of orange peel, beans or pasta to cover the numbers. Wherever you choose to celebrate New Year in Italy don’t forget to wear new red underwear, that has been given to you as a gift. It will ward off disaster, negativity and evil spirits. Who can argue with Italian superstitions, when they promise to bring you happiness and good fortune in the coming year.